Joyetech LVC Clapton MTL Atomizer Head is designed for CUBIS/CUBIS Pro/eGO AIO Atomizer. It comes with the liquid valve control system and along with the 1.5ohm resistance, it will offer you the best MTL vaping experience ever! • It can work with CUBIS Atomizer, CUBIS Pro Atomizer and eGo AIO. Waited for fast delivery, but it was 1.5 months. Maybe it's about holidays in china. It's too early to judge the quality. The evaporator gave out the gar after 3 tanks and again began to work normally. Naturally, everything is well impregnated. Tightening is more tight than the original, but after gary became the same, perhaps the marriage of winding. To taste is not bad, steamed on 1 evaporator 20 ml, more and more often there is a gar. But i think it's a thick lige. While in general, i'm happy, let's see what's inside when he lives. Thanks to the seller, he answered and helped in every way. Maybe i'll order more. Joyetech LVC Clapton MTL Atomizer Head is 5ohm (5pcs) is specially designed for Joyetech CUBIS PRO ATOMIZER. 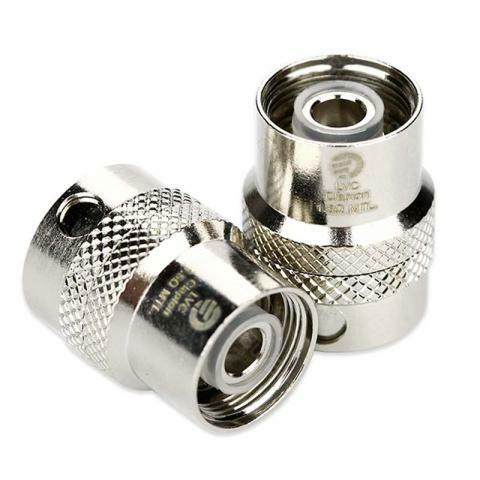 5Pcs/Pack JoyetecheGO AIO BF SS316 Head Atomizer Coil 0.5/0.6/.Resistance: 1.5ohm; LVC (Liquid Valve Control). Joyetech LVC Clapton MTL Head. It can be used with CUBIS Atomizer, CUBIS Pro Atomizer and eGo AIO. These are the best BF coils I have used. A good cloud without compromising the flavour.